Hey Everyone!! Hope you guys are having a great week! Things are getting a bit crazy here as we are about to move in 2 weeks! 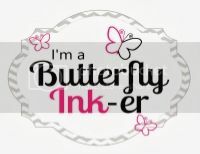 Anyways, today I have a project being featured over at Butterfly Reflections, Ink Blog. Be sure to head on over to see how I created this simple card and links to the products in store!